(CNS): The countdown to who will receive this year’s title of the Young Caymanian Leadership Award (YCLA) has begun following the announcement by the honorary board of the five finalists for this year’s contest: Felix Manzanares, Melanie McLaughlin, Krishan Welcome, Tammy Ebanks Bishop and Collin Anglin. Melissa Wolfe of the YCLA explained that, following the nominations, the five will all take part in a video-interview, where the judges score the candidates before they tot up the marks and hand them to PricewaterhouseCoopers, who will keep the name of the recipient under wraps until 20 February when the awards take place. "Meeting them all for the first time was a great occasion for the five to share in the excitement of becoming a finalist," Wolfe said. "Appreciation goes to all those who took the time to nominate and honour a young Caymanian, since all candidates come from these nominations". Each honorary board member will view the judging video and scores based on various criteria. Each score card is individually sealed in envelopes and calculated by a third party, accounting firm PricewaterhouseCoopers. Not until the night of Saturday, 20 February, does that name get revealed to a live audience during the broadcast on Cayman27. Wolfe said that the five finalists are already receiving messages and good wishes of congratulations for this new achievement. "Our five finalists for 2010 are impressive and very diverse. We have various backgrounds, professions and passions. 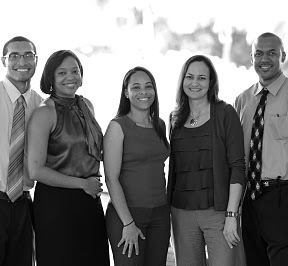 What they share is a combined and sincere dedication to Cayman’s youth and the future of the Cayman Islands. Every single finalist is a role model on many levels," added Wolfe. Complete biographies and questionnaires to get to know the finalists will be published in the coming weeks. (UPI) — Tennessee high schools will be getting guidelines from the state next fall on teaching the Bible as part of a secular curriculum. The state Board of Education has approved the guidelines implementing a 2008 state law calling for "non-sectarian, non-religious academic study of the Bible," The (Nashville) Tennessean reported. The guidelines include a requirement that literature from other religions be available for students. Bible courses cannot be compulsory. Brenda Ables, a social studies specialist with the state, said schools are not required to offer a Bible class. (WSJ): Laws that forbid motorists from using hand-held phones or texting while driving don’t appear to result in a significant decrease in vehicle crashes, according to a new study by the US Highway Loss Data Institute. The study, comes amid stepped-up efforts by federal highway-safety regulators to ban texting while driving and curb other forms of driver distraction. Transportation Secretary Ray LaHood earlier this week announced rules to forbid commercial truck and bus drivers from text messaging while driving. 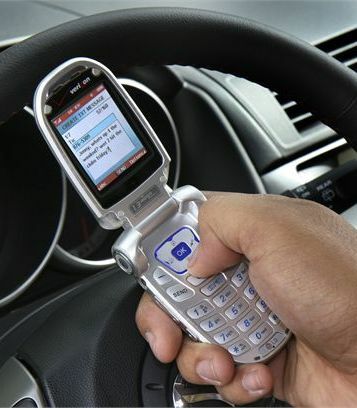 LaHood has said he would ban all texting while driving if he could. 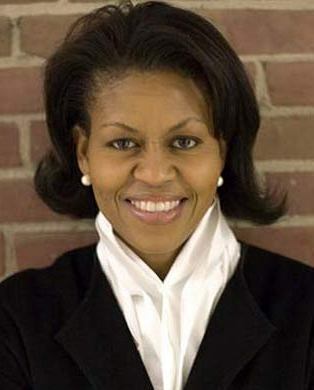 (Reuters): US health officials have leveraged the star power of first lady Michelle Obama to roll out a new campaign against obesity, a preventable condition that drains billions of dollars from the economy. Obama, who plans to take on childhood obesity as a cause, headlined the launch on Thursday of Surgeon General Regina Benjamin’s blueprint for what can be done at home, school and work to reverse the epidemic. In her first initiative since becoming "America’s doctor," Benjamin issued a report on the consequences of obesity to start a national dialogue on the subject. "The number of Americans, like me, who are struggling with their weight and health conditions related to their weight remains much too high," she said. (CNS): Following the public condemnation by the premier on Radio Cayman of Auditor General Dan Duguay, the Governor’s Office told CNS in a short emailed statement that the panel convened to interview the candidates for position of auditor general would be impartial. 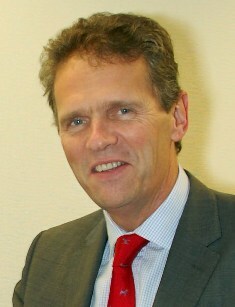 The office said that Duncan Taylor, the Cayman Islands new governor, would not be influenced by any comments made outside of the process. Applications for the post of auditor general closed on Friday 29 January and Duguay has confirmed he is one of those candidates. During an interview with Radio Cayman’s Talk Today programme last week, McKeeva Bush made it clear he believed the auditor general should leave and that someone else should be given the position, but he also said that it was not up to him to decide. During the period between the departure of the previous governor, Stuart Jack, and the arrival of the new governor, Duguay was informed by the acting governor, Donovan Ebanks, that he would be asked to compete for his post if he wished to have his contract renewed for a second time. Duguay started as auditor general in 2004 on a fixed three-year contract, which was renewed in 2007. Duguay said recently that because of the nature of his position, which is to investigate the government’s accounts and to ensure the honesty, integrity and value for money on any public funds spent, the role would be better served in future if it was a longer fixed term contract to ensure the AG could remain independent and not have to concern herself or himself that, if they were to do something a particular administration did not like, that they could lose their job. The comment then provoked the recent outburst from the premier, who said Duguay should go as he was not very good at his job. During his time in office Duguay’s reports have revealed shortcomings in government finances during the previous UDP administration and the last PPM administration, as well as the Governor’s Office and the police. At his first press conference the new governor was asked about the AG’s role and he said its independence was very important and that a good auditor general should be “irritating everyone”. 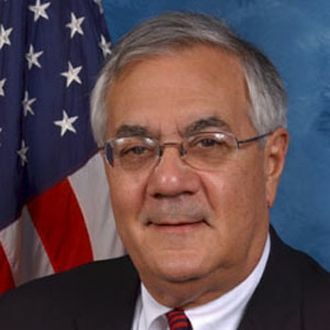 In a recent interview with News 27 the governor stressed his desire to improve the relationship between his office and the electedofficials as a result of the difficulties between the two arms of Cayman’s government that emerged following the various events, from Operation Tempura to the issues of broadening the country’s tax base. Taylor said his priority is to develop a good working relationship with the current government and said that so far things were going very well. “There is no reason why that shouldn’t continue, although I am not fooling myself to think that there won’t be some differences of opinion from time to time or some difficult issues to tackle,” he added. He explained that, as chair of Cabinet, it was his responsibility to ensure sensible decisions were made and to support good governance. The Orchid Garden will also have a number of educational signs and display panels describing the plants, their natural history and how many have been lost to deforestation. “This new feature in the park will allow us to help protect, conserve and educate visitors on the importance of orchids, as well as our cultural and natural heritage,” said John Lawrus, Deputy General Manager at the Botanic Park. The donation of US$6,130 came from HSBC Bank (Cayman) Limited, a ‘gold’ sponsor of the project developed to ensure a safe haven for native and Caribbean orchids. “HSBC Cayman is pleased to support this project, which represents a big step forward in preserving a part of Cayman’s natural heritage. A lot of care and attention has been put into this by the staff and supporters of the Botanic Park and we are proud to assist,” said Gonzalo Jalles, Chief Executive Officer of HSBC Cayman. John Lawrus and Sue Gibbs accepted the donation on behalf of Friends of the Botanic Park. “We are grateful to HSBC Cayman for assisting in such an important development in the Botanic Park,” said Lawrus. The Botanic Park is home to ten of the twenty-six orchid species recorded from the Cayman Islands, and three of these are found nowhere else on earth. 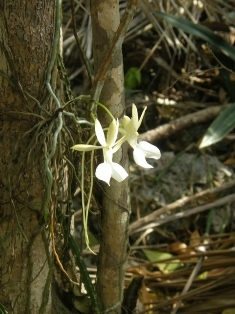 One of these unique three, the most commonly seen by park visitors, is Cayman’s National Flower, the indigenous Banana Orchid. (CNS): Some young people appear to have a very negative attitude about the police, despite the fact they have no personal experience of dealing with them, Chief Inspector Angelique Howell of the RCIPS has said. Speaking at a recent meeting with 26 teenagers from the Cayman Islands Youth Assembly (a programme of the Youth Services Unit) about how drugs, crime and violence affect the lives of young people on the islands, CI Howell said that, while the discussion was very lively, many of the young people held misconceptions about the role of the police in the community. What I did find interesting was the fact that so many of them appeared not to have an understanding of the role the RCIPS plays in their community. Despite the fact that for many of them Thursday’s meeting was their first interaction with us, they seemed to have quite a negative perception of the police,” she said. “They admitted that these perceptions were based wholly on comments made by third parties and not based on any personal experiences. Thankfully, I was able to address any concerns and they are now much more aware of what we do and how we are working with communities right across the islands. The meeting took place at the George Hicks Campus last Thursday, 20 January, and CI Howell, from West Bay police station, delivered a presentation and talked about some of the reasons young people become involved in taking drugs and alcohol. “The young people who attended engaged in what can be described as very lively and interactive discussion. The young people really appreciated the information we gave them and you could see that they were really putting a lot of thought into the issues. I’m sure that they left the meeting much better informed than they had been before. They now know what to look out for and how the use ofalcohol and drugs can destroy lives, families and communities." She explained how she had also underlined how the use of these substances can affect lives both at school and at home and discussed how to spot the signs of abuse in others. The police commissioner recently told the Cayman Business Outlook conference that the police role was not just about addressing the criminal element in society but also about engaging with the community to prevent young people from getting involved with gangs and drugs and the crime associated with that. Owen is an award winning writer who has been published in most of the UK’s quality press, and her ringing endorsement of her excursion on to the water with her guide, Tom Watling of Cayman Kayaks, is likely to be warmly welcomed in the local tourism industry. 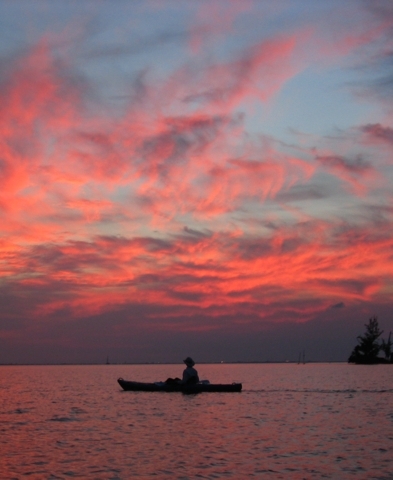 She notes that going beyond that Cayman offers another kind of wildlife. “I had already discovered the subtle pleasures of mangrove snorkelling in the waters around Grand Cayman, where sea horses drift in a lush forest of underwater greenery. But it wasn’t until last November that I heard about bioluminescence. I flew into Grand Cayman from neighbouring Cuba and drove straight from the airport to meet Watling,”she adds. (BBC): An insurance levy on financial institutions to help bail out banks in any future financial crisis has been backed at the World Economic Forum. Politicians and bankers have expressed support for the idea, while the International Monetary Fund (IMF) has described it as "practical". The levy would go into a fund which could be used to bail out the banks instead of taxpayer money. 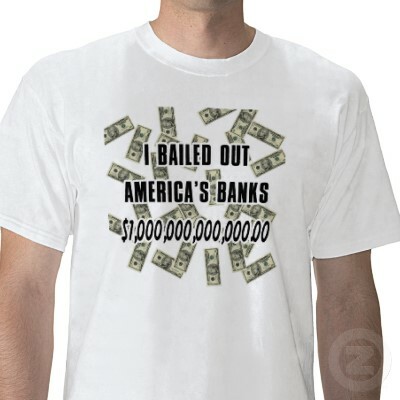 Governments across the world have spent billions of dollars saving banks. The insurance levy is seen by many as a more realistic option than a tax on financial transactions, often referred to as a "Tobin Tax", which has been discussed but has proved unpopular in some quarters.